The bathroom is one of the most used rooms in any home – and often the most overlooked. But because they’re likely the smallest, it’s super easy to change up the décor without breaking the bank. If you’re looking for quick and inexpensive ways to give your big, small or somewhere-in-between restroom a refresh, we’ve got tons of updating tips – from tiling to towel bars. 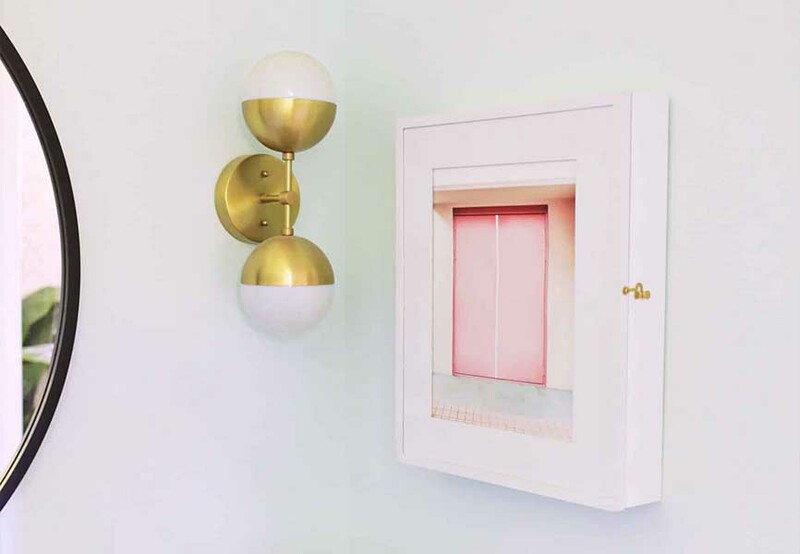 • Make a hidden medicine cabinet: You don’t have to be Bob Vila (or even overly handy) to make this cute little cabinet and give your counter some breathing room. The real trick? Instead of a traditional mirrored front add a frame and show off some artwork or a favourite photo. Storage and wall art in one. Tada! • Add a DIY marble shelf: This one looks a lot more expensive than it actually is and is really easy to make. Plus, it adds just the right amount of shelf space in an out-of-the-way area that can hold candles, canisters and other non-essentials. • Make a lucite towel bar: Another one that looks fancy but is inexpensive and only takes minutes to put together. You’ll want to hang the good towels on this one. • Hang metal baskets for makeup brushes, nail polish and hair products: So many products, so little space! Try this neat solution for an industrial look that also makes the most of every inch. • Get rid of your junk! Nothing feels better than purging those almost-empty bottles, expired medicine and samples that are taking up space. Get organized with these simple solutions. 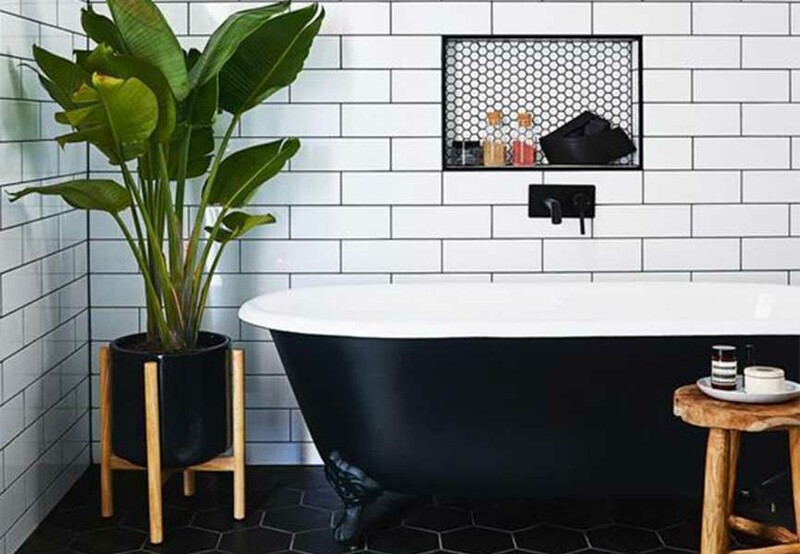 • Add tiles: There are so many options out there, from hand painted ceramic to cheap-and-cheerful subway tiles. You can do it yourself with the peel-and-stick variety or find someone handy to help you out (probably a good idea if there are tools involved). • Hang temporary wallpaper: Speaking of peel-and-stick, you can now find virtually any pattern in a removable, large-size format. Try it out – without the commitment. Wayfair has some great options. • Jazz up a basic mirror: All it takes is a quick trip to Lowe’s for a little bit of trim and some paint and voilà, you’ve got yourself a nice new addition to your space. 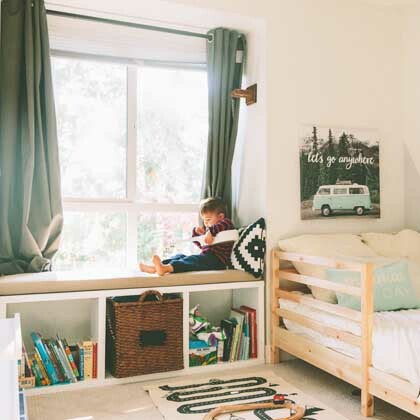 • Make no-sew curtains: Pick up some material and fabric tape and add just the right touch without a lot of effort. • Refinish a worn out tub: For a bigger wow try a refinishing kit – or, if you have a standard tub, replace the fitting for as low as $200! • Change out the door: No really, this one is fairly easy to do (with some help and a few power tools) and it has a huge impact. Suddenly your dated bathroom is right up to date! You can find the hardware you’ll need at stores like Lee Valley. • Install simple beadboard: This will give your bathroom a classic, timeless look that can transform your space. It may even look like you did a full reno! When in doubt, swap it out! There are so many little things you can do to give your bathroom that brand new feeling without spending a ton of cash. Simple things like changing the shower curtain, adding new towels and a bath mat and replacing the showerhead are inexpensive upgrades that have a huge impact. • Update light fixtures – whether sconces, a ceiling light or track lighting, this simple change can make a big difference. • Add a dimmer and warm LED bulbs for ambiance. • Change cabinet knobs – glam things up, go rustic or find your inner modernist. So easy, and so rewarding. 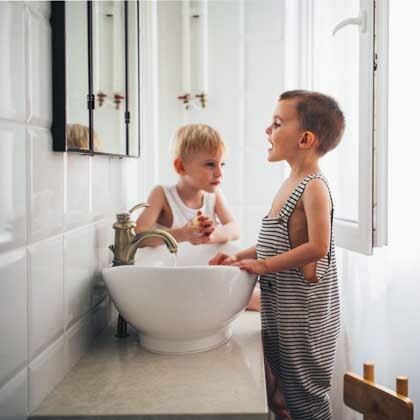 • Switch out the showerhead – consider low-flow options for water efficiency and read this buying guide for the best options for your home. • Hang a new shower curtain – let your personality shine through with fun patterns and prints. 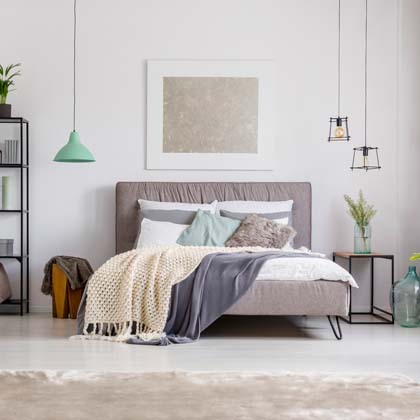 Check out IKEA, Wayfair and Urban Outfitters for inexpensive options. • Change out your faucets – an easy update that’s also affordable! • Paint the vanity – with a little elbow grease to remove the current finish, you can have a basically brand new vanity in a few hours. • Add vintage hooks – flea market finds definitely have a place here! o Use an old wooden crate or wicker basket to store extra toilet paper and towels. o Hang a tiered wire fruit basket above the tub to stow bath products when ledge space is lacking. o Turn a vintage bowl into a decorative container for cotton swaps. o Add an over-the-tub wire rack for a luxurious and practical touch. o Place a small vase of fresh flowers on the counter. 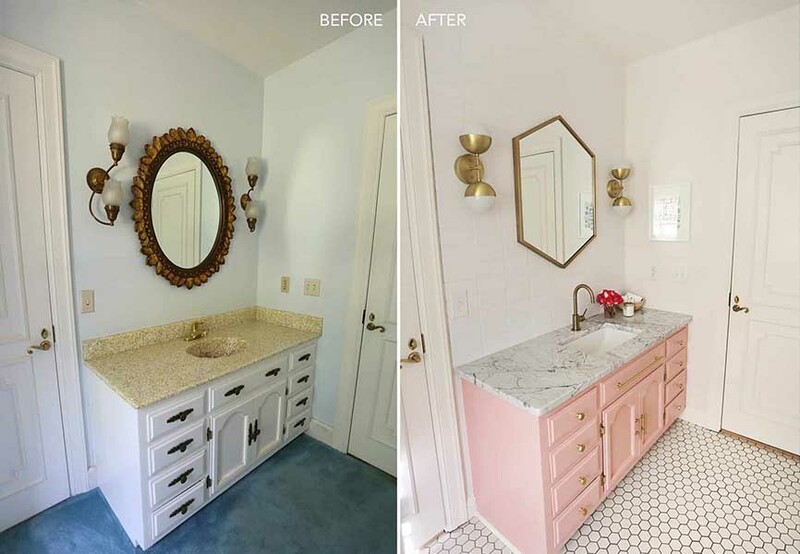 Whether you have lofty spa-like ambitions for your bathroom or are just looking for a weekend-warrior refresh, you don’t have to spend a fortune to give this oft overlooked room in your home the attention it deserves. After all, you spend a lot of time in there. Shouldn’t it be nice to look at?